Two northern Nevada fire chiefs have asked the Public Utilities Commission to investigate the safety of NV Energy’s residential “smart” meters, saying they believe the meters are associated with a string of recent fires. Fire Chiefs Michael Hernandez of Reno and Tom Garrison of Sparks said four fires in Reno and five blazes in Sparks appear to have been linked to smart meters since 2012. But investigators have been unable to conclusively determine what started the nine fires. “While opponents to the use of these electric meters state significant problems occur with the use of these meters, there appears to be no systemic hazard identified by actual documentation available to this office,” State Fire Marshal Peter Mulvihill wrote in a January 2013 report. Of the nine fires in Reno and Sparks that appear to be linked to smart meters, seven resulted in very little property damage. But one of the blazes resulted in the death of Michelle Sherman, 61, of Reno, the Gazette-Journal reported. Reno fire investigators listed the cause of the July fire at her townhouse as “undetermined,” because the smart meter had been so damaged in the blaze that it could not be conclusively ruled as the cause. But Andrew Thoresen, a forensic expert hired by the city, determined the meter also could not be ruled out as the source of the fire. “Data tends to suggest the meter may have failed,” he wrote in a report. He also noted the smart meter last transmitted 49 seconds after the 911 call, making it “less likely” the meter sparked the fire. 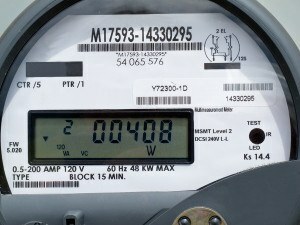 Smart meters continuously transmit information about power usage to NV Energy. “Based on the conclusion of the third-party investigation into this tragic incident, the electric meter did not cause the fire,” Andersen said. But Thoresen also examined three other smart meters associated with fires in Reno and Sparks and found evidence that each one failed. NV Energy officials say their smart meters have never been listed as the official cause of any structure fire in Nevada. But the company has responded to 70 “consumed meters” since it first started installing them in 2010, said Pat Egan, vice president. NV Energy has installed 1.1 million smart meters on homes and businesses across the state. He described a consumed meter as one whose plastic casing “melted or breached.” They can result in soot and a simple cleanup, he said. Citing fire concerns, Portland, Oregon, and Philadelphia have replaced the same brand of smart meter used in Reno and Sparks.